There are numerous types of aquatic sports practiced in South Africa. The South African Amateur Swimming Union (SAASU) was set up to organise competitions on a provincial basis, which originally focused on included water polo, with a swimming championships event. Diving and life saving competitions and demonstrations were often also a part of the tournament. In the 1960's synchronized swimming was added, and by recently open water racing also became a competitive aquatic sport managed. In addition there is information about related sports with a swimming element - biathlon, biathle and triathlons. There is also brief section on still water and surf lifesaving, as they both include elements of swimming, with many competitive pool and open water swimmers participating. The world record breakers, Olympic and Commonwealth medallists, International stars and Local Heroes from southern Africa, as well as disabled swimmers. Four swimmers from South Africa have been inducted into the International Swimming Hall of Fame - only 11 countries in the world have more. Despite a ban which kept an entire generation of swimmers out of international competition, swimmers from South Africa have set world records and won Olympic medals, and continue to do so. Results and newspaper articles of the annual South African national aquatic championships. The places where South African aquatic sports history was made - here and abroad. Universities, colleges and school pools; municipal, military and hospital pools; club pools; dead pools and tidal pools; beaches, rivers and dams; international venues. Click here and zoom in to see all of the places on a map. South Africa boasts world class schools that have strong traditions for competitive water sports. Swimmers from Karen Muir to Chad le Clos have set a number of world records and Olympic records, depite the thirty years of international sporting isloation. Since George Godfrey became the first Springbok to represent South Africa, until the Springbok badge was no longer awarded to aquatic sports in 1992 - many aquatic stars have proudly worn their green and gold blazer. The coaches that have helped the athletes achieve their ambitions. Note this is a very incomplete list as coaches are seldom mentioned in newspaper reports and remain largely unknown. 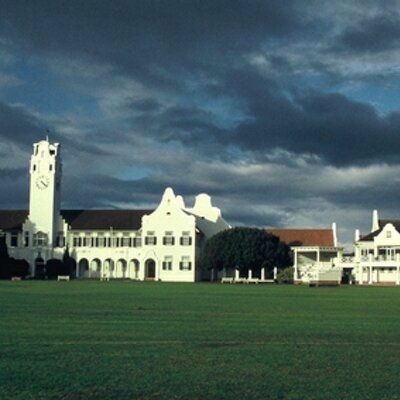 SAASU was founded in Port Elizabeth in 1908. It managed aquatic sports under FINA regulations until being disbanded in 1991. Keep scrapbooks filled with newspaper cuttings and photographs was popular with swimmers and their parents in the past. Dutch star Ada Kok made this scrapbook on their tour in 1963, which she allowed us to share here. Since the Carden Cup was awarded for the men's 100 yard freestyle at the first SA national swimming championships in 1900, many trophies have been added to the collection. Natal team 1956. Since the first two provinces were created for the first inter-provincial championships in 1900, a number of others joined, including Rhodesia and South West Africa. Aquatic sports provincial entities were disbanded with SAASU in 1992. 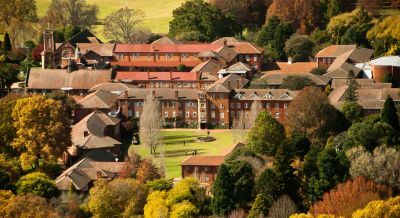 Since the colony was creeated by Cape Town businessman Cecil Rhodes in 1895, Rhodesian history was inextricably linked to that of its southern neightbour South Africa. They joined SAASU as a sporting province in 1921. South West Africa became a de facto part of South Africa afetr the first World War in 1919.Its atheletes always competed in South Africa ans the SWA swimmining association was affiliated to SAASU until 1990. The annual South African universities aquatic championships for the Roberts Cup has been held since 1922. Students competed at two World Student Games known as Universiades in 1961 and 1963. Ernest Cavill was the 1000 yard world record holder from Australia when he attended the opening of the Port Elizabeth swimming bath at Humewood in 1898. Olympic champions like Don Schollander (above), Ada Kok, Jon and Ilse Konrads are a few of the famous swimmers who toured the country. The diaspora of South African swimmers began durning the 1950's when South African athletes - including swimmers and divers - began to receive scholarships to American universities. This trend accelerated during the boycott era, and continues today. Cape Town and Vineyard SC swimmer Sarah Poewe (above) seen with the German relay team members. This article is in memory of a few competitors who have died. The neighbouring Portuguese colonies of Mozambique and Angola had numerous swimming pools - usually with diving boards. Rhodesians often visited down the road from Umtali to Beira. South Africans teams often competed in Lorenzo Marques against clubs like de Sportivo, and swimmers from there competed in the Eastern Transvaal. Politics has unfortunately always played a role in South African sport, particularly the 30 year ban on South African participation of international sporting events like the Olympic Games. This interference continues today with sporting quotas being enforced on sporting teams by government decree. Various histories of aquatic sports both South African and international. Visit the locations and see the Pools and Places today. Click on the left icon to see all the layers. Click HERE - or the right hand BOX ICON to open the full map. ZOOM into the coloured dots. They show all the different types of Pools an Places in different layers.